Thunderbird Atlatl has a variety of atlatl designs. Bob Berg of Thunderbird Atlatl has been designing atlatls for over 30 years. Some of our designs are interpretations of ancient designs and many are designs inspired by years of using the atlatl for sport, hunting, fishing and recreation. All of our designs are copyrighted and the names are unique to our atlatls. 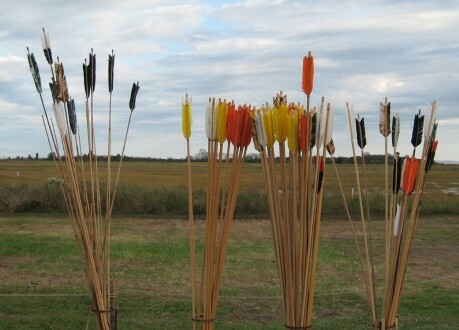 Many of our designs have kits if you wish to make your own atlatl. Thunderbird Atlatl has left the northeast for the warmer weather for two upcoming shows. We will be at the Silver River Knap In and Stone Age Arts Festival Saturday, February 16, from 9 a.m. to 4 p.m. and Sunday, February 17, from 9 a.m. to 3 p.m.
Silver Springs State Park is located at 1425 NE 58 Avenue, Ocala, Florida. Festival admission is $5 per person. 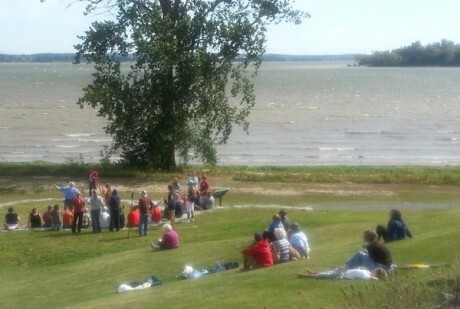 Expert flint knappers, archaeologists, potters, hide tanners, bow makers and other specialists in prehistoric skills will gather from across the eastern U.S. to demonstrate and sell their arts. 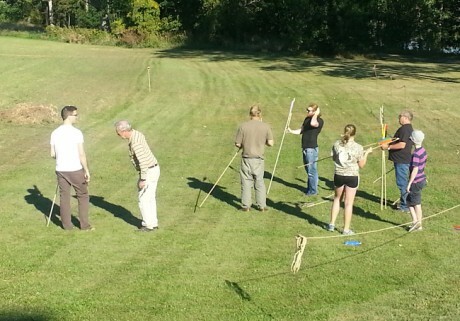 There will be atlatl demonstrations and ISAC competitions for those interested in trying an atlatl competition. 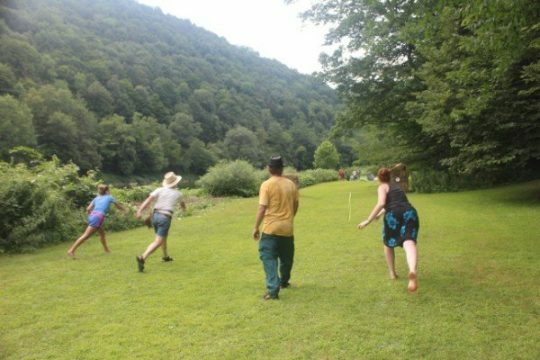 Visitors try the atlatl at Silver River State Park. 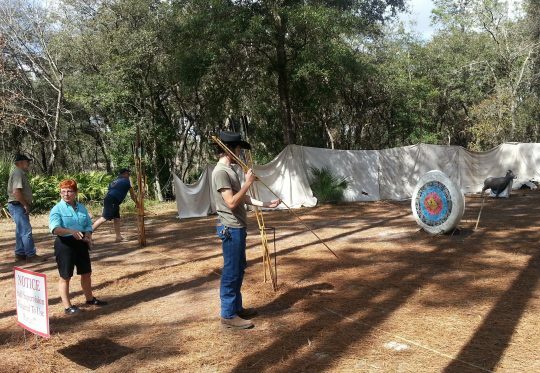 Come to Silver River and try the atlatl this weekend. We look forward to seeing you! 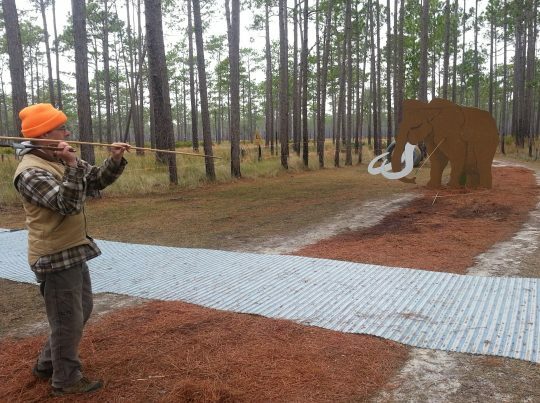 We move north the following weekend to the 12th annual Stone Age & Primitive Arts Festival at Ochlockonee River State Park,429 State Park Road, Sopchoppy, Florida 32358. Admission is $4 per vheicle. Contact the park at (850) 962-2771. The program is Friday, February 22nd to Sunday, 24th 201 from 9 a.m. to 4 p.m. 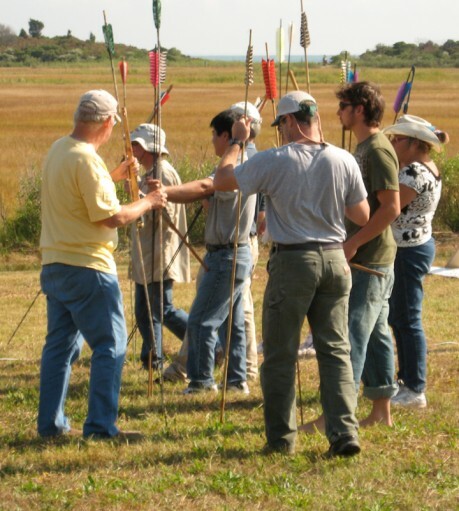 There will be atlatl demonstrations and contests including ISACs all weekend.